I have always found it interesting to see how people use their notebooks and I have shared my own uses on the blog before (see here and here. Today I have another mega post sharing my current notebooks and how I am using them. I have three Travelers Notebooks which I admit does seem like a lot. One of these I use everyday and does move around with me, the other two stay on my desk and hold refills that are used less often and for specific purposes. Travelers Company 019 Free Weekly refill - this is a refill I have used in the past but at the beginning of this year I chose to use the Hobonichi Techo as a replacement. The Techo didn’t work in the way I’d hoped, so I have returned to the free weekly refill. In this refill I make a few small notes on my day and decorate the pages a little. Its great to look back through these refills once they are completed because it really helps you appreciate everything you have done over a period of time. Travelers Company 017 Free Monthly refill - I use this insert to plan out my month and keep track of any appointments. This is a very functional insert with a lot less decoration. Soukime A5 Slim notebook - I am using the olive/khaki slim Travelers Notebook style refill with plain paper. This refill is dedicated to anything related to the blog and includes post ideas, lists, video ideas and secret plans. Travelers Company 003 Plain Refill - this refill sits in its own Travelers Notebook because as I work my way through it, it becomes quite bulky. It has become a sort of scrapbook where I keep photographs and ephemera related to my little one. I don’t use this refill everyday just when there is something noteworthy that I want to record. Over the past year I have filled three of these refills and they have become one of my prized possessions. I store the completed refills in the Travelers Company 10th Anniversary edition tins. To add to my regular size Travelers Notebooks I also have the camel passport size Travelers Notebook which I love. In here I have one notebook for my general notes. At the moment this is the Travelers Company 005 lightweight paper refill. I also have a 007 free weekly refill which I use to doodle and jot down notes from my day. This is my long hand, morning pages style journal. I write in this once a day, sometimes twice. This notebook is a way for me to empty my mind and organise my thoughts. I usually have my current pocket notebook with me when I am writing in the morning so that I can jot down any relevant notes that come out during this brain dump session. This is my bullet journal notebook. The Leuchtturm1917 is a popular bullet journal notebook because of its numbered pages, two bookmarks, and ready made index. At the moment I use a double page to plan out my full week. At the start of the week I create each new spread and plan out my tasks. Each day I review, add and move around my to dos. I don’t really decorate this at all and like to keep this functional and simple. This is my work notebook. Originally I did buy this thinking I would try my hand at art journaling and emulate the lovely pages I see on Instagram and YouTube, but it didn’t really work out. I found it very hard to keep decorate each daily page. I didn’t want to waste such a lovely notebook so I decided to use this for my work notes. 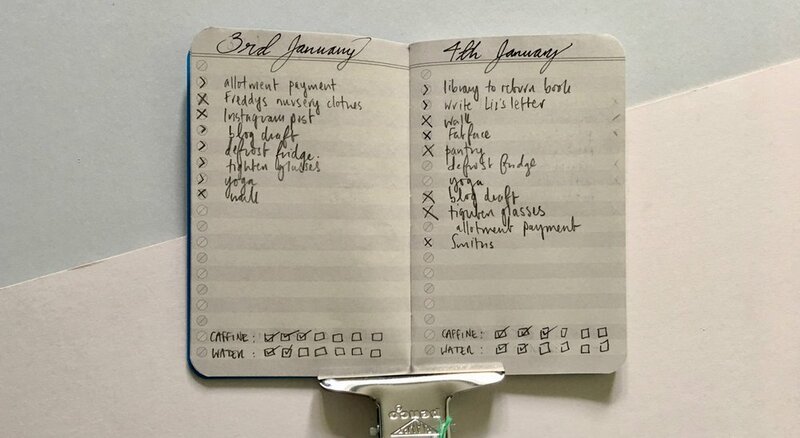 The dated pages work well for this and help me to keep track of when tasks need to be done or when I started a task or project. I use the bullet point section at the top of the notebook to add important tasks for that date. I use the weekend days for overspill notes if I need to. For a while I did try out Mike Rhode’s daily plan bar on the daily pages but I found it didn’t leave me a lot of room for any notes. I plan on using the weekly spread pages at the front of the Techo for a variation of the same thing. In the front cover of my Techo I have a blank Field Notes tucked away just in case I need a bit of additional room, not that I’m paranoid or anything. I always have a few notebooks in use at one time. Every notebook has a purpose and I like having notebooks for specific projects. 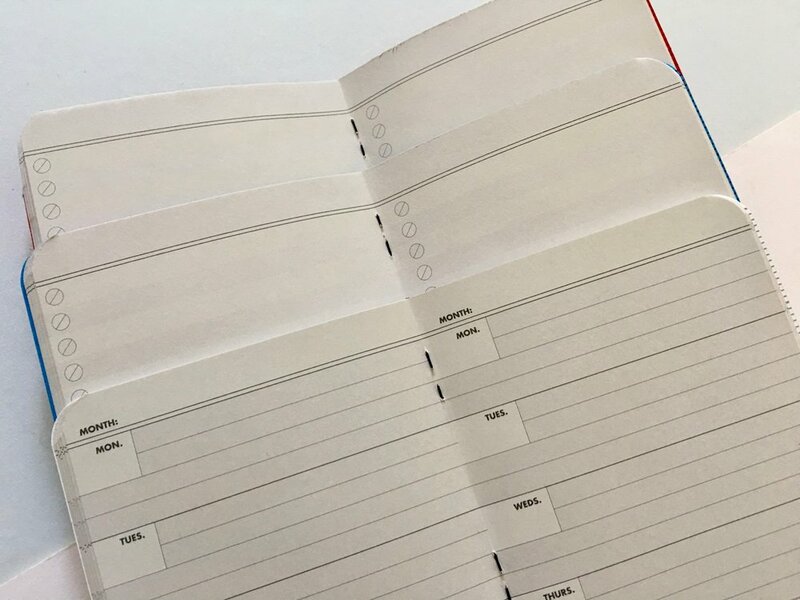 Over the years the Travelers Notebook system has worked really well for me because of the flexibility of the system, the quality of the paper and the number of different refill options available. That’s the main reason I have so many of these in use at one time. I hope you’ve enjoyed peeking into my notebooks in today’s post. I love to seeing how people use their notebooks so please share any interesting information in the comments below. I think it has become fairly obvious over the past couple of months that I am enjoying the Travelers Notebook system. Reviews here and my Instagram account show the ways in which I am using this notebook system, which in all honesty has caught me by surprise. I have had the passport Travelers Notebook for a couple of years. It had been very quickly banished to a drawer after an initial dislike of the size, however since using 2 of the regular sized Travelers Notebooks and from watching a lot of YouTube videos I have found a love for the passport sized Travelers Notebook and worked out a way to use it as my everyday notebook. Next to the regular sized Travelers Notebook the passport is far smaller. The clue is in the name - it's the size of a passport making it a far more portable size to carry around. It's around half the height of the regular Travelers Notebook and around an inch slimmer. One thing I have noticed between the passport Travelers Notebook that I bought back in 2013 and my more recent purchase (2015) of the regular Travelers Notebook is that the leathers are very different. The passport is more rough to the touch and marks very easily. In comparison the newer regular Travelers Notebook is a smoother leather and feels a bit more supple in the hand. I don't have the same fondness for the passport sized Travelers Notebook as I do for the regular size. The system seems almost a bit too fussy for just a carry around notebook that I tend to scribble quite a bit of nonsense in. This may be part of the reason why more people opt for the larger size using it for more specific things such as journalling, drawing, painting etc. My foray into using and enjoying the Travelers Notebook only came after having the regular sized version and seeing first hand the benefits of how it can be used. 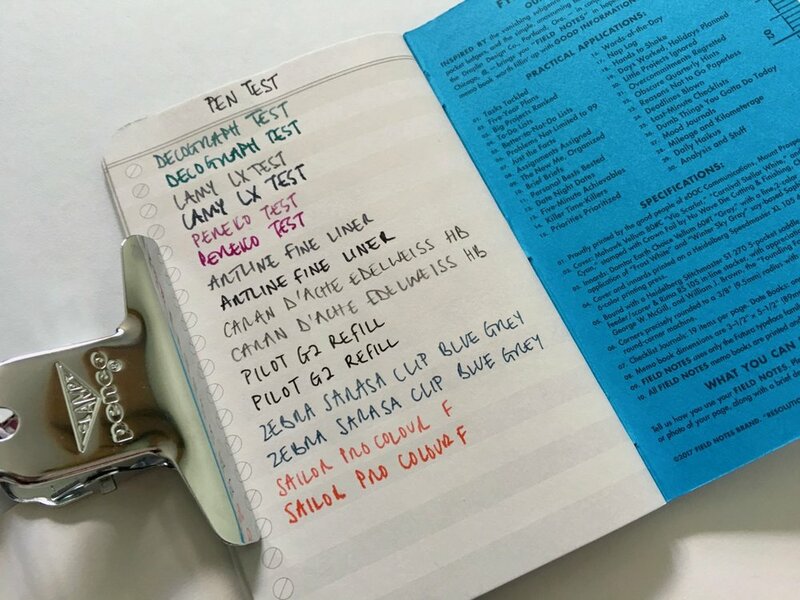 The passport sized Travelers Notebook gives you a similar selection of refill options available to the regular size enabling each individual user to customise the notebook to their needs. I am using my passport Travelers Notebook for an every day catch all notebook system. I try to keep it simple and not overload it with too many refills as I don't like anything too bulky. I have 2 notebook refills and 2 pockets, a pen clip and a bull clip on the front cover. 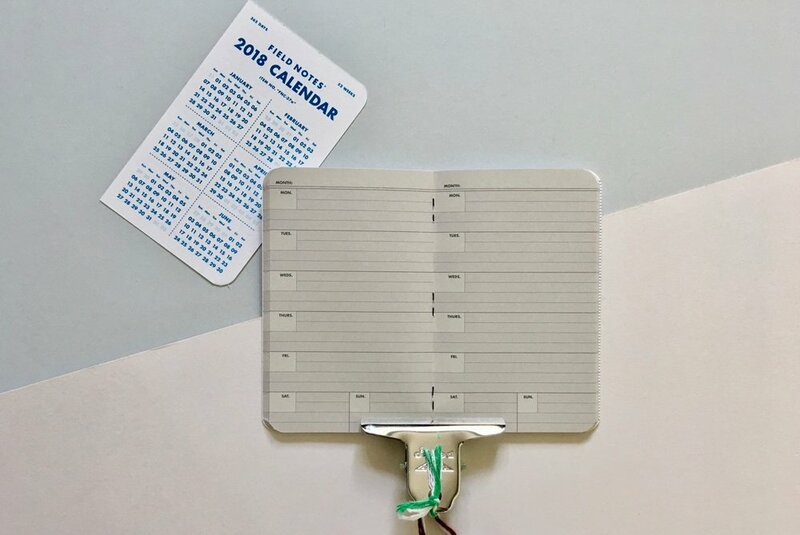 My first notebook is a personal monthly calendar. I have enjoyed using a monthly view calendar for my blog and study planning that I have switched to the analogue system for my personal diary as well. I love see a complete month view and I have found it makes planning a lot easier. My second notebook is a ruled refill used for daily to do lists and essentially for scribbling down anything that pops into my mind. I use the pockets for general things that are handy to carry around. Mine aren't stuffed full of ephemera like some keen sketchers and scrap bookers, they have a few simple things such as a photo, some stamps, a washi card and scraps of paper with information I need. I usually have a pen attached to the clip which means when I grab the Travelers Notebook I have everything I need. Does the Passport Size work? My concern with the passport sized Travelers Notebook still remains that it feels a bit too small. 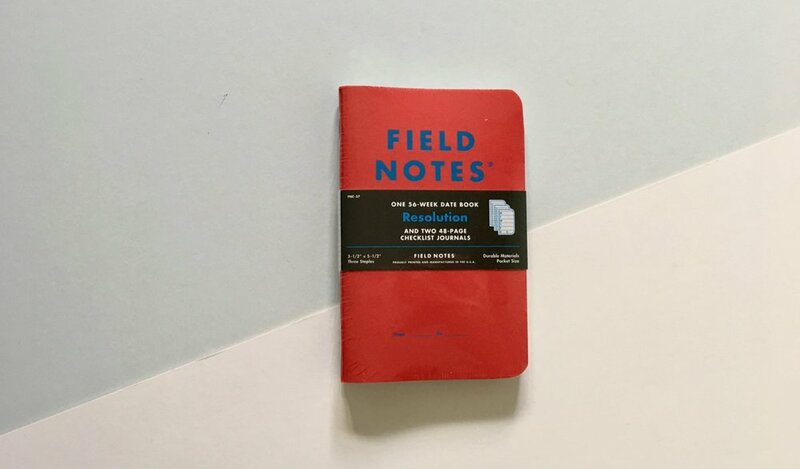 It's short and squat in comparison with other pocket notebooks. 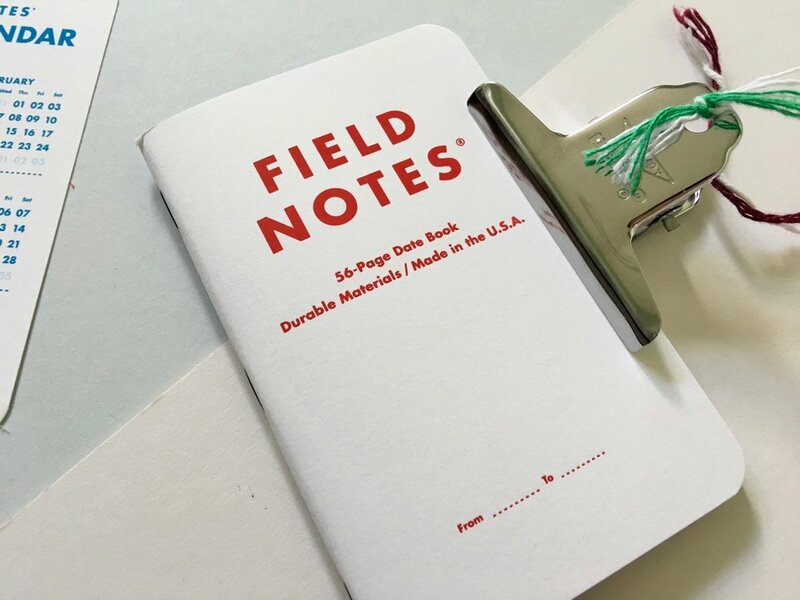 Normally I carry a Field Notes memo book which are quite a bit taller as you can see from my photo below. The size difference really did take some adjustment. If I was just carrying around the refill alone I am not sure that it would be something I would use every day. However as part of the Travelers Notebook system it works and I have been able to adjust to the size issues. 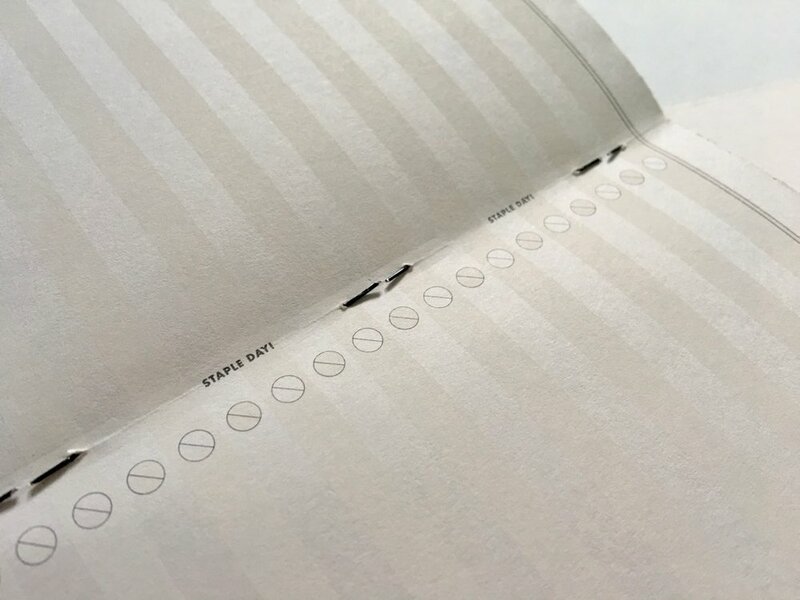 With the smaller passport size the refill comes with a huge 80 sheets, as opposed to the 48 sheets in the Field Notes memo book, so even though its shorter, I am benefitting from more paper. I am not sure if this is a long term system that I will be able to stick to. The lure and size of Field Notes may pull me back which would throw out the whole passport sized Midori system. There will be no surprises when I say that I like using the Midori paper. The huge benefit of this paper is that I get to use a wide variety of different pens, fountain pens, ink and pencils that don't work as well in other pocket notebooks. This is one of the small pleasures of the Travelers Notebook and with the passport size I get to carry my fountain pens with me on the go. The passport Travelers Notebook is a great portable notebook system. Everything you need is bulked together. I could literally walk out of the door grabbing the Travelers Notebook and know I have everything I need. The leather cover is gorgeous and gives you a sense of using something special. I love the way it ages and marks with use. Whether this remains an everyday carry for me is yet to be seen. I have managed to use the passport Travelers Notebook for a month with this as my daily go to notebook, but once I finish the ruled refill I may be tempted to use something else. My initial dislike of the passport Travelers Notebook has definitely gone. I see the lure and benefits and will more than likely continue to dip in and out of this system over the months and years.